9mobile, one of Nigeria's leading telecommunication company has been honoured as the 'Telecom Company of the Year 2018' award by Leadership Group Limited, publishers of Leadership newspaper, in recognition of its resilience and stability in the face of challenges over the past two years. 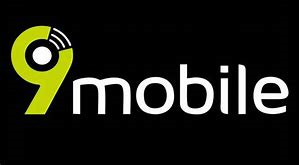 Presenting the award to 9mobile during an awards ceremony in Abuja, Group Managing Director of Leadership Group Limited, Abdul Gombe, said the decision to honour 9mobile was unanimously reached by its enlarged Board of Editors at a recent meeting. He commended 9mobile for emerging stronger from its many tests, including the challenging operating environment, tough regulatory requirements, threat of take-over by a banking consortium and post-acquisition realities. Regulatory and Corporate Affairs, Abdulrahman Ado, pledged 9mobile's commitment to transacting business with integrity, putting value for customers at the core of its propositions, as well as disrupting the market with innovative products.